Two short weeks ago I was in the heart of the Windy City for the Chicago Advertising Federation Career Day. It was an all day affair complete with breakfast, lunch, panel discussions, and networking opportunities. I learned a lot through my anxiety-ridden experience, and want to share my new-found knowledge with all of you! The lunch portion of the event was particularly helpful because we (the very nervous interviewees) had our very own, real life HR Recruiter at our table. Luckily, she was very nice and let us ask as many questions as our hearts desired, and I asked “what advice do you have for how we should approach the company booths during the networking time?” Her answer was simple, informative, and easy to implement – simply be a S.T.A.R. Anytime you give an answer you need to give the recruiter/hiring manager some context of what was happening. What you may think is obvious might not be to them, so make sure you include information about the basics of the situation. Example: The moment I’m most proud of is when I won my internship competition last summer when I was a digital media planning intern at MediaCom. The competition consisted of five teams with four people on each, and lasted throughout the 10-week internship. This is where you describe what you were asked to do, or what the challenge of the situation was. Example: For the internship competition each team was asked to create a comprehensive media plan for BP Fuel Rewards Program, which culminated in a group presentation in front of agency leaders. This is the most important component of the S.T.A.R. method. The action piece of the method is where you describe what you actually did in the scenario. Example: My group did substantial secondary research to fully understand the situation at hand. We then worked together to create an insightful media plan based on our research. Our presentation was well rehearsed, and adequately reflected the work we put into it. Example: As a result of our hard work and detail-oriented plan, my team won the intern competition. Our prize was the opportunity to present to MindShare’s North American CEO. The S.T.A.R. method is a great way to handle any interview question; it keeps your answers clear, concise, and organized. It also helps you from rambling on and on. 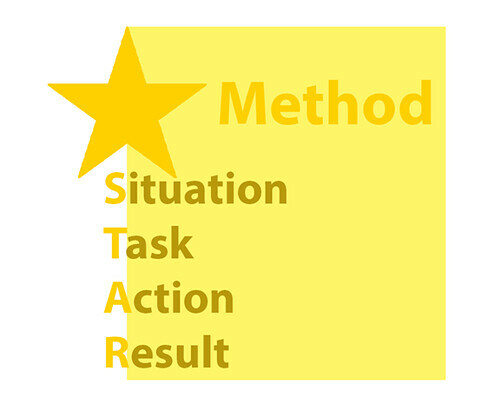 Have you ever used the STAR method?